Did you get it – that’s the theme from the movie “Love Story” (1970). But, where do you begin blogging? These tools will help you get started and maybe even give you the push you need to keep going. What is the Ultimate Goal of Blogging? Will this Obsession Actually Produce Enormous Rewards? Videos are Eye-opening! See the Conflict and Agony!! You’ll Need Old Faithfuls for Over-the-top Perfection! Create it! Share it! Sit back and see what happens! 1. What is the Ultimate Goal of Blogging? Why go to the trouble of writing anything? This quote was found in “15 Famous Authors on Why They Write” by Alison Nastasi. But What is the ultimate reason for blogging? Don DeLillo’s reasoning sounds like a lofty goal for writing. But what about content writers, bloggers, and copywriters? What are their goals for writing? Content writers want an audience that engages with them again and again. Even a novelist wants readers who look forward to reading their next novel. People that look forward to reading your work are your customers. So yes, you want customers, but you must have something they want. You must gain their trust; prove your worth. Give them what they need or what they want, over and over again. I don’t know what customers want. But, I know what I want. So I am the person I will write for right now. Hopefully, there will be other people out there who want the same things I do. the length of the headline. 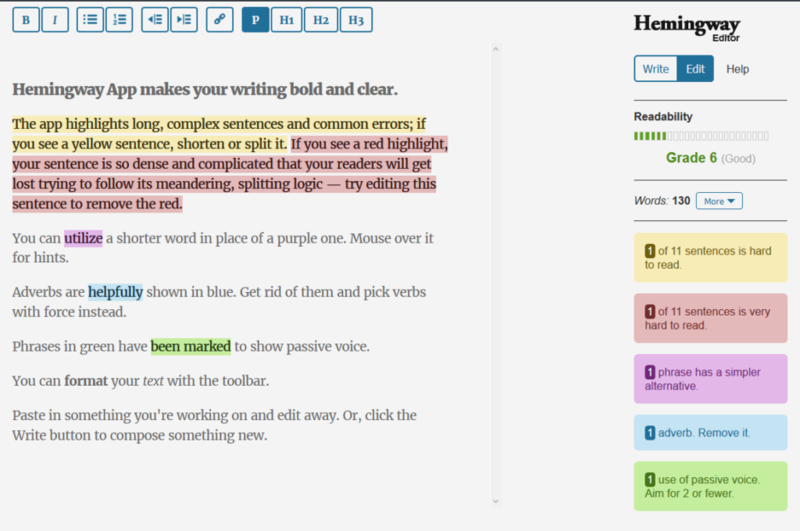 Enter the text of your work into the Hemingway Editor. It will show you exactly where you need to make different kinds of edits. You can choose to change the words or to leave them as they are. Son of Citation Machine has been around for a long time. Cite your work! Show Appreciation for those who came before you! It’s easy! These articles have some great information about ways to write and even how to write. If all else fails, and you just don’t get it, try using the style that these writers have used. It just might be the starting point you need to get you going. In the end, you will need to develop your own style, but you need to start somewhere. The Ultimate Guide to No-Pain Copywriting (or, Every Copywriting Formula Ever) has all the copywriting formulas you could ever need. This is a great reference article to return to over and over again. If Joanna Wiebe missed a formula, I don’t know what it is. I’ve included this article just so I have it bookmarked. In Copywriting: The Ultimate Guide, Helen Nesterenko has categorized article links from all over the web into chapters. If you want to know anything about copywriting, you should be able to find it here. What Really Is The Best Blog Post Length? gives a good explanation about the best length for a blog. This article questions whether there is the best length at all. Use your own voice and your own style to determine the best length of your posts. Read The Complete List of Evergreen Content Ideas for Your Blog. Then create content that people will use over and over again. Reference it to your other blog posts. Be the definitive guide on the subject. 4. Will this obsession Actually Produce enormous rewards? So do you have an obsession with searching for articles, infographics, pictures? Do you look for anything that will help you in your aspirations to be better at what you do? In this post, I am putting many of the favorite ideas I’ve discovered in a process like that. To increase web traffic, update your website on a regular basis. Posting other peoples’ ideas on social media is not going to increase traffic to your website. But it can be a great way to collect ideas to curate later when you are blogging. You can use some of your social media sites as collection areas for your research work. Sometimes these posts do not have much success as stand-alone items. But read each item before posting it for safe keeping. Your own skills will get better. Will people want to read it? That’s what would make it great! Second, a great post should have great rewards. Will people want to read it again and again? That could be a definition of great rewards. Will my obsession not have been in vain? Could this type of obsessive behavior work for you, too? I’ll let you know how it turns out. Check back here for updates! 5. Videos are Eye-opening! See the Conflict and Agony!! Surely, if someone knows how to write an award-winning novel, they would understand the process of blogging. Watch How to write an award-winning bestselling first novel by Nathan Filer at TEDxYouth@Bath. This is the process of telling a story. Can you blog it? In How to write a story by John Dufresne at TEDxFIU, John Dufresne creates a story right there on the stage. Wow! 6. You’ll Need Old Faithfuls for Over-the-top Perfection! It’s No Secret! Sometimes You Need Interesting Suggestions. A thesaurus can be helpful here. Check out Thesaurus.com to help you find that perfect word. Dictionaries are helpful tools. Try Dictionary.com when you just cannot remember what that is. Who doesn’t like something extra for their time and effort? Here are some tools for adding that extra touch-of-something when you are blogging. Clipping Tools or Screen Shots are great tools to use to add interest to your blog. Search the web to find out how to make screenshots from your particular device. Or use a tool specifically made for clipping from the screen. You Actually Design Awesome Images. Download them and Share. What more is there to say? 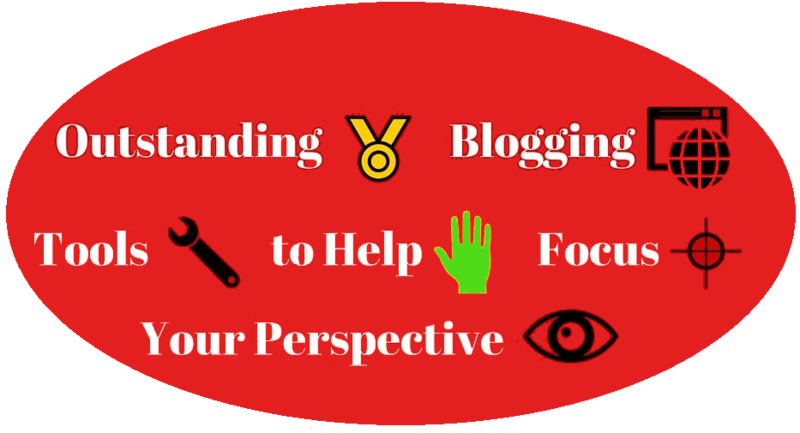 Canva.com is a great tool for any blogger! GIMP is an Open Source image editor. Create transparencies, backgrounds, or even animations, if you have the patience. Add text, blur an image, and more. 7. Create it! Share it! Sit back and see what happens! Reclaim Your Blog. Then Share it on Social Media. Let everyone know you’ve been writing! “Start Designing.” Amazingly Simple Graphic Design Software – Canva. Accessed March 31, 2016. https://www.canva.com/. “Citation Machine – Chicago, Website.” Citation Machine™. 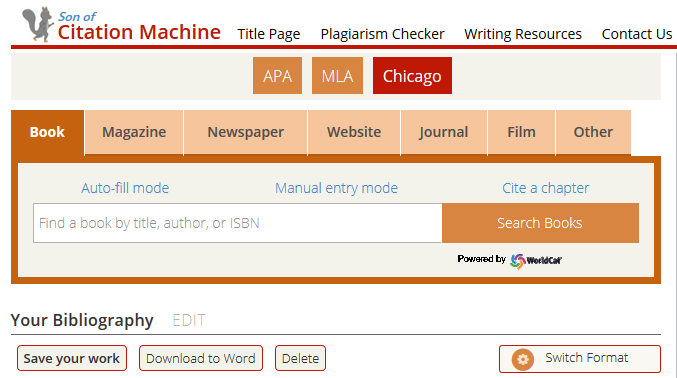 Accessed March 21, 2019. http://www.citationmachine.net/chicago/cite-a-website/manual. Content Idea Generator – Portent. Accessed March 31, 2016. https://www.portent.com/tools/title-maker. “Dictionary.com – The World’s Favorite Online English Dictionary!” Dictionary.com. Accessed March 31, 2016. http://www.dictionary.com/. Dufresne, John. “How to Write a Story.” YouTube. December 10, 2014. Accessed March 31, 2016. https://youtu.be/urJDbQl5W0I. Filer, Nathan. “How to Write an Award-winning Bestselling First Novel.” YouTube. November 13, 2014. Accessed March 31, 2016. https://youtu.be/NMQGa6grfeE. Hemingway Editor. Accessed March 31, 2016. http://www.hemingwayapp.com/. © 2013-2015 .38 Long, LLC. Created by Adam Long and Ben Long. Lee, Kevan. “Evergreen Content Ideas: The Complete List For Your Blog.” Buffer Social. April 16, 2014. Accessed March 31, 2016. https://blog.bufferapp.com/the-complete-list-of-evergreen-content-ideas-for-your-blog. Nastasi, Alison. “15 Famous Authors on Why They Write.” Flavorwire. June 26, 2012. Accessed March 30, 2016. http://flavorwire.com/303590/15-famous-authors-on-why-they-write. Neidlinger, Julie. “What Really Is The Best Blog Post Length?” CoSchedule Blog. Accessed March 31, 2016. http://coschedule.com/blog/blog-post-length/. Nesterenko, Helen. “Copywriting: The Ultimate Guide | Writtent.” Writtent. 2016. Accessed July 05, 2016. http://writtent.com/blog/copywriting/. Salesforce Canada. “The Anatomy of the Perfect Blog Post from Headline to CTA.” Salesforce Canada Blog. October 06, 2015. Accessed March 31, 2016. https://www.salesforce.com/ca/blog/2015/10/anatomy-of-a-blog-post.html. Wiebe, Joanna. “Copywriting Formulas (don’t Write from Scratch! ).” CopyHackers. Accessed March 31, 2016. https://copyhackers.com/2015/10/copywriting-formula/. 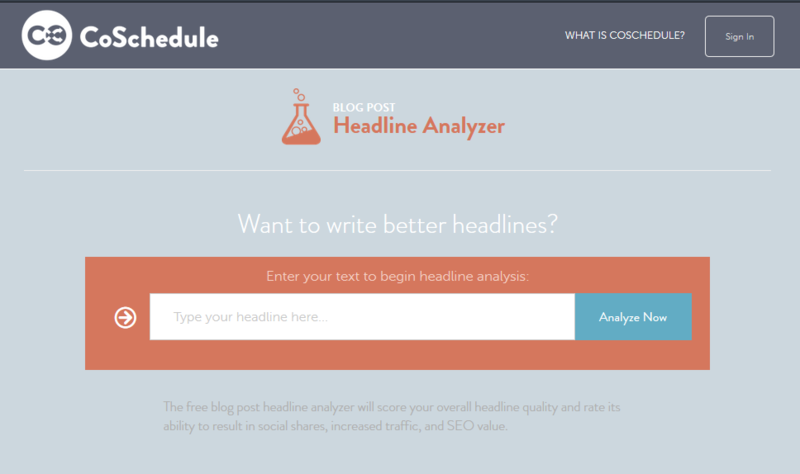 Write Better Headlines: Free Headline Analyzer From CoSchedule. Accessed March 31, 2016. http://coschedule.com/headline-analyzer. “Synonyms and Antonyms of Words.” Www.thesaurus.com. Accessed March 31, 2016. http://www.thesaurus.com/.